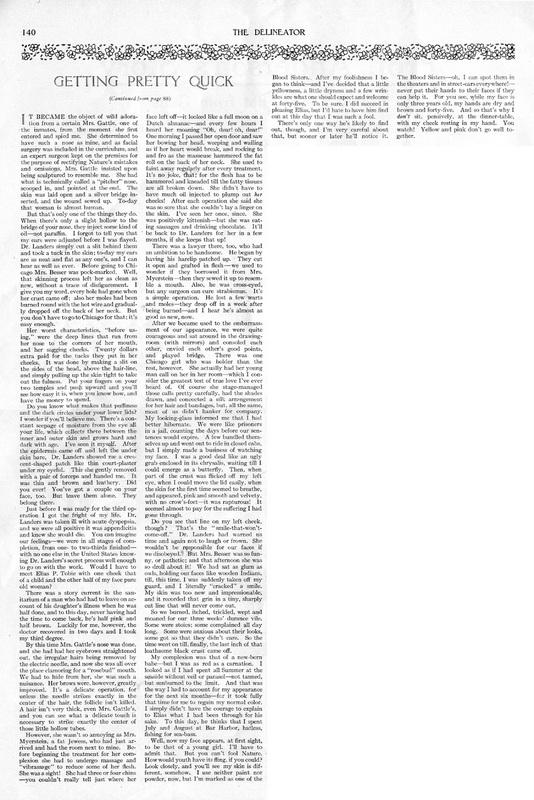 A few weeks back I discovered this amusing yet quite frightening article scanned and blogged by Lauren of Wearing History. 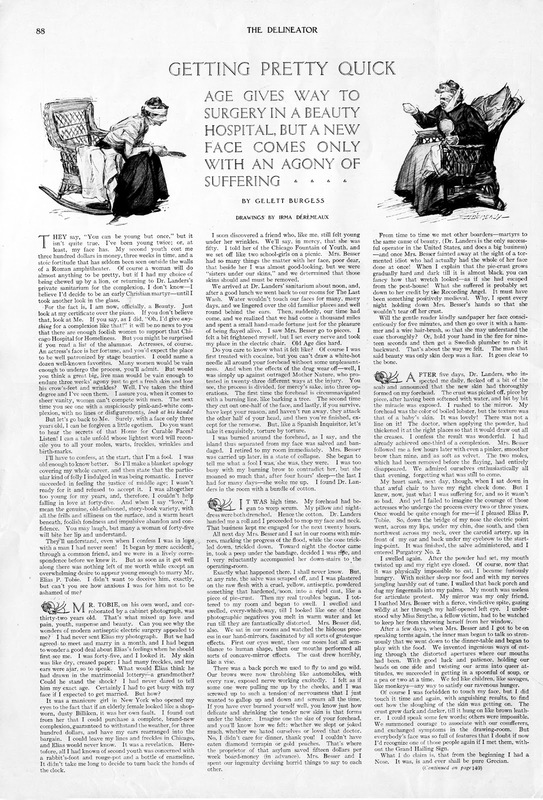 In this 1910 article from The Delineator, which was one of America’s most popular home and fashion magazines before Vogue, Harper’s Bazaar, et al, American humorist Gelett Burgess penned a piece on plastic surgery. Though this is written in first person, and I assume it was written with his tongue firmly in cheek, based on the fashionable practice of enameling (enamel was injected into wrinkles) and injecting wax into the face (Gladys Deacon! ), and the presence of plastic surgery in Edwardian beauty books and WWI articles, this tale cannot be too far-fetched! Read it and let me know what you think.